The Lucid Dream were formed in 2008 in Carlisle. Since then they've released three singles and an EP, and have now just released their debut album - Songs of lies and deceit. There's a very wide range of influences audible in the music including Jesus and Mary Chain, Stone Roses amongst other Indie rock bands, and Phil Spector 60's pop. This wide range of influences means that the music has quite a distinctive sound . I can best describe it as psychedelic indie rock. 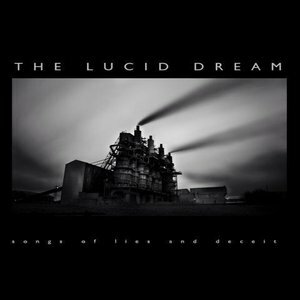 It's a very good record, not really to my taste, but if you're a fan of psychedelic rock then The Lucid Dream are certainly worth a listen. 'Songs of lies and deceit' is out now. 1. How's your low when you're low alone?